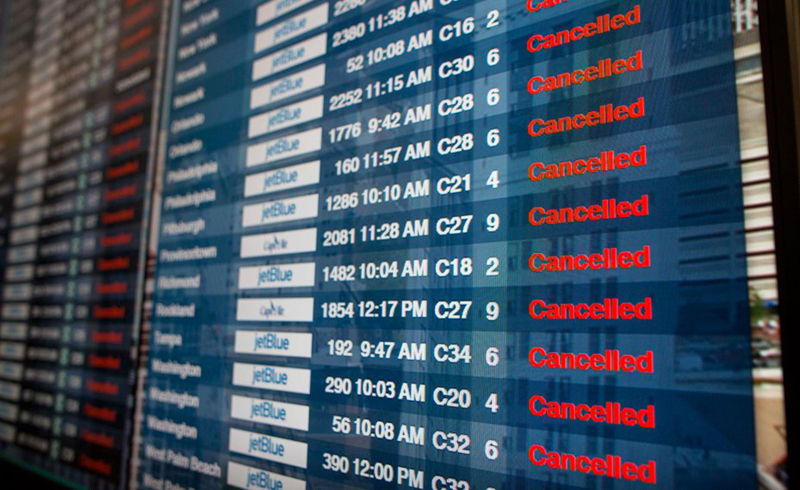 Wondering what to do when your flight is canceled or delayed? Here are the steps you should follow. “Each airline has its own policies about what it will do for delayed passengers waiting at the airport; there are no federal requirements. If you are delayed, ask the airline staff if it will pay for meals or a phone call. Some airlines, often those charging very low fares, do not provide any amenities to stranded passengers. Others may not offer amenities if the delay is caused by bad weather or something else beyond the airline's control. Contrary to popular belief, for domestic itineraries airlines are not required to compensate passengers whose flights are delayed or canceled. As discussed in the chapter on overbooking, compensation is required by law on domestic trips only when you are "bumped" from a flight that is oversold. 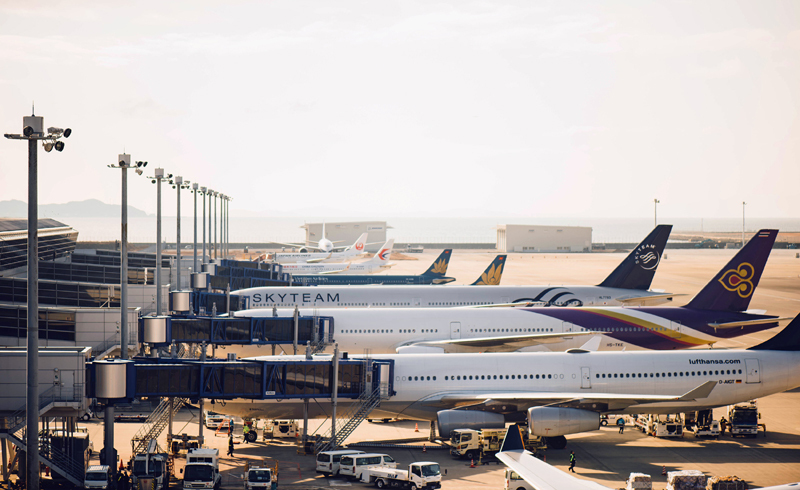 On international itineraries, passengers may be able to recover reimbursement under Article 19 of the Montreal Convention for expenses resulting from a delayed or canceled flight by filing a claim with the airline. If the claim is denied, you may pursue the matter in small claims court if you believe that the carrier did not take all measures that could reasonably be required to avoid the damages caused by the delay." If you know this ahead of time, it’s easier to be calm and courteous when you ask for information about your flight and whether the airline can assist you. No matter how frustrating your stranded time may be, you’ll get better results if you treat the gate agents with kindness and compassion. If you think you’re due compensation due to an EU flight irregularity, go here to find information, a link to the Air Passenger Rights EU Complaint Form and for a list of EU national enforcement bodies. We've also got a handy little guide here. When severe weather is about to strike, airlines often give you the option to change to another day ahead of time, free of charge. These notices usually get posted a day or two before the weather event on the carriers' travel alerts pages. Here are the pages for American, Delta, Southwest, and United. Check early and you’ll beat the rush for the first seats after the storm clears. When a flight is cancelled, most people's instinct is to stand in line at a service counter or get on the phone. But while you’re waiting, use your smartphone browser to see if you can rebook on your own for free. Delta, for example, offers the feature consistently via both its app and website for even the smallest of delays, as do numerous other airlines. Just pull up your reservation and you’ll see the option to rebook. Few things are more frustrating than being on a flight with a tight connection and being helpless to do anything about it until you land. On flights with Wi-Fi, though, most airlines give you free access to the airline’s own website, so you can use your smartphone to check the status of your connection, see options, and sometimes rebook before you land. In dire situations, when the airline call centers have hour-plus hold times, consider using Skype from your smartphone to call an international number for your airline. Sometimes those numbers lead to different agents who will pick up faster. When things get really bad, airlines sometimes add extra flights—called "extra sections"—at hubs to get people moving. They’re hard to spot, but sometimes they’ll show up if you do a flight-status search for your destination. Otherwise, keep an eye on the departure board for flights to your destination that weren't displaying before. It’s possible those are extra sections that have space. If you are stuck in paradise and you don't mind staying for longer, then this won't matter much to you. But if you want to get home, you need to think about the costs you're willing to incur. Many travelers found themselves stuck for days without the ability to talk to someone at the airline who could help look for other options. When that happens, keep in mind you can always get a refund of the ticket if your flight was canceled. That frees you up to search for other options on other airlines and just buy them if you see them. Then think about other expenses like hotel, ground transport, etc. Put all that together and then you can think about how much you're willing to spend to get out of town. The big airports aren't usually the only airports in town; think about the alternates. There is always a way to get between airports, whether renting a car, taking a taxi, or hiring a shuttle—just throw all that into your recovery budget when you're calculating. When an airline tells you it will be three days before you can get home, don’t buy it. In bad weather, seats are constantly changing hands. So if you don’t like what you’re given, be persistent—but polite—and keep checking for options on your smartphone. In addition to your airline’s tools, Kayak and Google Flights are great about showing creative options you can feed to an agent. While airlines aren’t required to rebook you on other airlines, sometimes they can, especially if your flight is cancelled outright. The bottom line: If you don’t have a new flight confirmation or separate verification of the irregularity, get to the airport on time. And remember, as we’ve previously discussed, there’s no better time to get to the airport early than over the holidays. If you do all that, you’ll be more likely to share victuals and give thanks with intended friends and family, rather than your new acquaintances in Concourse C.